In an attempt to revive my blog, I have to start with the most exciting and life-changing news first: we are married!!! Between wedding planning full-time in my business and planning our own wedding, there was little room in my schedule for blogging. But, as always, I find my way back to it! I shared much about our engagement and the wedding planning process over on Southern Weddings as their bride blogger, and if you’re inclined, you can read about everything from our proposal to choosing our venue and vendors to our engagement session (which can also be found on the blog!) to a recap of our engagement season and wedding planning. 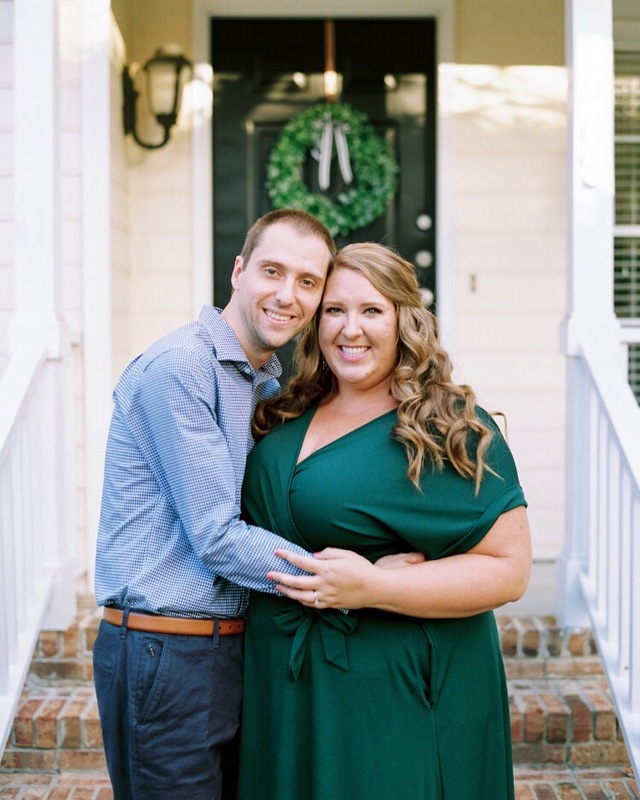 As much as I neglected this blog, it was such a joy and privelege to share some of our story on Southern Weddings, and I’m so glad we have those posts to chronicle it all! We had a shorter engagement (six months to the day, since our dream venue only had one available Saturday this year! ), and we tried our best to be present throughout it all and savor that season. And what a sweet engagement season it was! Our wedding day, which I’ll share much more about in great detail soon enough, was, in one word, PERFECT. It truly, truly was. I am forever grateful for the best day of our lives; a day that filled me with more joy than I ever thought possible! Marrying Rob (my busband!!) was simply the most incredible, joyful thing in the world, and saying our vows to one another and being pronounced as husband and wife was the greatest moment of my life. Being surrounded by our families and closest friends, celebrating all of the goodness of the Lord, basking in the perfect, gorgeous weather, and living out this dream day… it was more than I could have ever asked or imagined! We’re deeply, deeply thankful for every bit of it, and we love reminiscing on our wedding, wedding week, and honeymoon all the time. It’s only been a month, but it’s been the absolute best month being married to my sweet husband! I have so much more (so much!) to share about our wedding weekend festivities, all of our wedding details, our honeymoon in Antigua, marriage, and settling into newlywed life, so stay tuned for so much more! Wedding season is also here (hooray! ), so I have lots of posts to share about the 2016 wedding season, as well as all the beauty that’s to come for the rest of my 2017 and 2018 weddings. There are so many fantastic celebrations to look forward to, as well as lots of content creation and tips to share! There’s never a dull moment around here, though my Instagram is a much better reflection of all that’s going on… so follow along there, too!